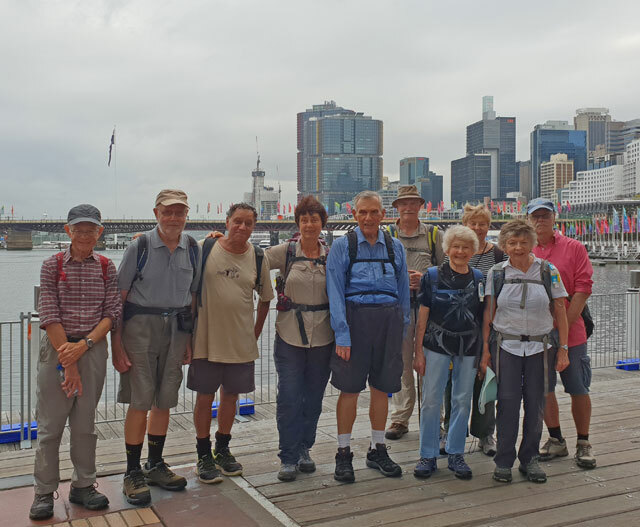 On Thursday 14 March 11 Bush Club members defied the weather report and enjoyed a rain free walk through city sights and seascapes. Those who chickened out missed a good walk enjoyed by all. From the southern exit at Central we walked through to Darling Harbour to see all the developments there and on to the same at Barangaroo restaurants and shops. We did a circuit of the park from which we got a good view. An even better view was obtained from the piers on the other side after crossing the Pyrmont bridge. We braved the seagulls and tour groups to have lunch at the Fish markets. 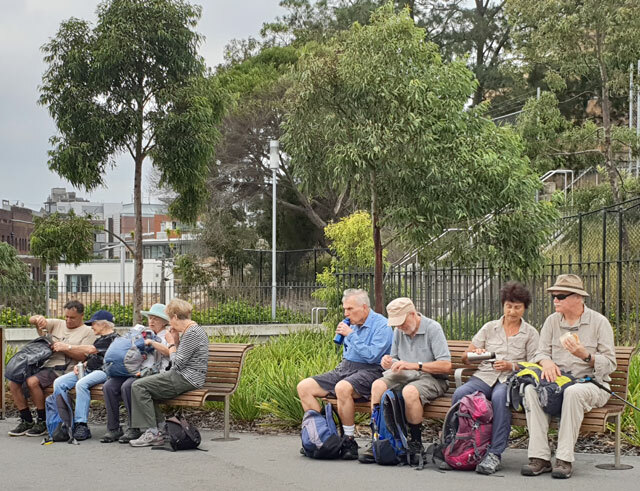 After a pleasant waterside walk through Glebe Bay and the park we got the light rail at Rozelle Bay. Most walkers learned about new developments in the area which is changing rapidly, occasionally for the better. 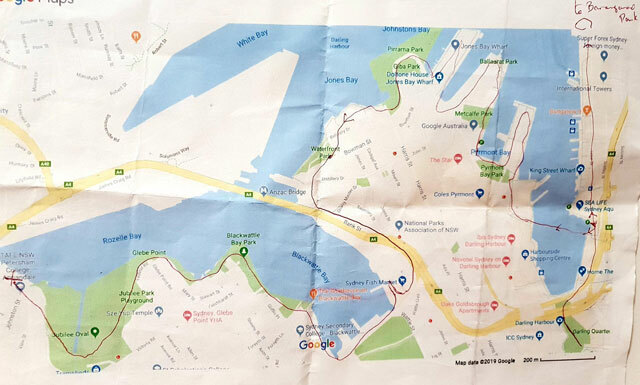 Our thanks to Lydia Chua for the photos and Google maps for the CBD map.